It is an early Monday morning, and your new employee has passed through your doors. The employee is eager to begin learning and working in your store. As the owner, of a small store, it is your duty to educate and teach the ways of your establishment. At first glance, you may believe a simple introduction may be enough, but it is important to properly train your employees for there are many benefits that follow. These are just a few things that can be affected in a positive manner if your new employee is trained in the correct manner. Even though every position will require different teachings, training can still be seen as an overall picture. Before the new member of your store even walks in for his/her first day, you must create a list of responsibilities the trainee needs to learn. Included within this list can be major or minor things. For example, you may need your new hire to understand how to properly use the register or manage the inventory layout. To make the training process as simple as possible it is important to breakdown what it takes to learn the new responsibilities. During this training period, you can create a schedule that includes what it takes to learn to use the register. Monday could be used to complete transactions. Tuesday could be for closing out the till, and so on. It is very important for your new employee to be comfortable with your store's operations and entire team. Therefore, be sure to dedicate a day for getting to know everyone and becoming familiar with everything. By breaking down what needs to be learned, your new employee will become a pro in no time. It is necessary to ensure your other employees do not feel threatened when the new hire arrives. They will be working as a team; therefore, you need them to not only like each other but work well together. In order to encourage a good relationship for everyone, you may want to have a “fun Friday” at the end of the week. A simple day where you will reward everyone for their patience and hard work. A good idea could be buying everyone lunch or having a small party in the break room. As your employees begin to grow on each other, place some responsibility on the senior members. You know they are good workers, so they must have some good skills or techniques that they can pass on to the new employee. This senior employee could even be a mentor for the trainee. On top of that, it will allow you to have a moment of break from training. By allowing your new employee to learn in different ways, it will not only enhance the learning process but make it easier for everyone. No matter how well you cover every topic and duty, an employee will always have a question or need further guidance. The last thing you want is for that member of staff to feel lost or confused. It cannot be helped but the difference is how you handle the situation. You want your employee to feel comfortable asking questions, but to make it easier for him/her you must be available to help. 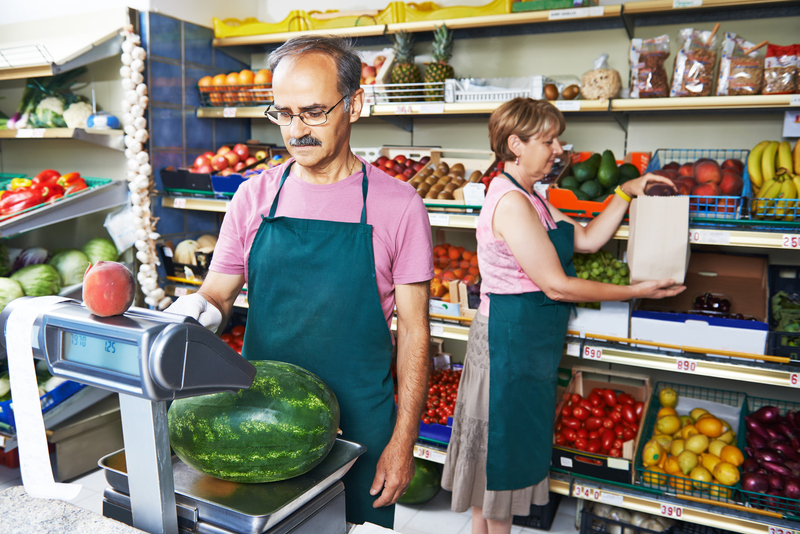 If you’re too busy or not at the store, your worker may feel uncomfortable reaching out to you. If you must be out of the store or unavailable, make sure the new hire has someone to reach out to, such as a store manager or supervisor. It is better for many questions to be asked rather than errors in an inventory order or with a customer. Properly training the new employee may be time consuming but could be one of the most important investments for your establishment. Creating a solid foundation for your employee is necessary to further improve your business and supply your customers with the best possible service. Are you looking into some Easy Ways to Enhance Your Convenience or Grocery Store? If so, click here. 5 Ways to Reduce Costs & Save Money!